Evan what? It's such a non-descript name or brand - in the UK at least - that it might as well be an anonymous internet commentator. However it is one of the biggest selling ranges of bourbon being distilled at Heaven Hill distillery. You may have seen it sitting on a shelf somewhere whilst out shopping. Admittedly it can be difficult to pick out some bourbons given their expanding numbers, or what makes each one different. 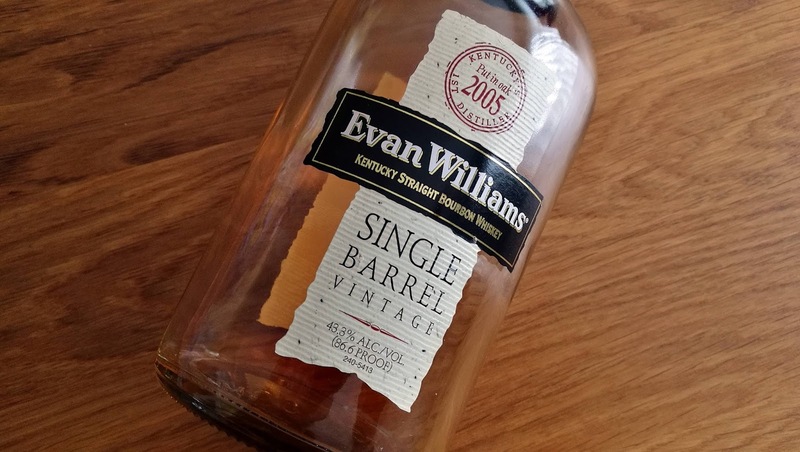 Evan Williams is a historical figure as a settler from Wales, he was one of the earliest Kentucky distillers circa 1783 although here the company behind the brand would have you believe he was the first. There is a glamour to be the original, the leader or the first and I understand that, but I'd rather be the best. Let someone else make the mistakes and learn from them. For Evan his distillery was a success and soon he became respected locally. Here we should draw a line between the historical inspiration and today's brand. Evan Williams as a whiskey dates from only the early 1900's; long after its inspiration had passed away. It's a common trend in marketing and in American whiskies to brand the bottle. Unlike Scotland, many whiskies are produced at a single distillery based on a particular recipe to order. Then shipped to another state for maturation or bottling. That's the modern way sadly and why I'll always appreciate folk doing it the hard and traditional way such as Wild Buck Whiskey. Evan is available in a variety of forms. You'll most likely see it in the standard straight Kentucky bourbon black bottling or the 100 proof bottled-in-bond white edition. Beyond these you have the stream of flavoured editions and what an assortment Evan offers; egg nog, honey, fire (cinnamon), cherry, peach and Kentucky cider. At the more premium end of the range is the 1783 small batch and the single barrel edition, which is selected by the master distiller. 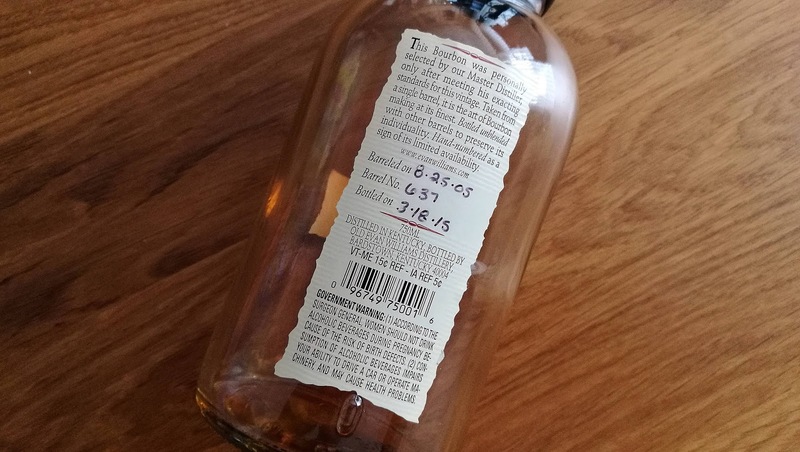 This is what we have here to review thanks to Tom at Tom's Jura Reviews for passing on the remnants of this bottling from 2015, matured for 9 years. So I appreciate we're starting our experience of Evan Williams at the summit here. However if the standard is pretty decent then it may encourage me to pick up the courage for the descent to base camp. You can pick up other single barrel examples for around £33 online and this isn't much of a leap from the standard versions that are about a tenner less. Nose: its like walking amongst freshly cut wooden planks, the vanilla just rises up with that damp woody quality. A bit of bitterness at the end. Before that its a pretty intense with a herbal basil note, black pepper, sherbet and a whipped cream. Delving further some milk chocolate, toffee, oranges and fruit loaf with raisins, malted bread, cinnamon and all-spice. Taste: now that 43.3% (86.6% proof) comes across as an overly sanded plane of wood to within an inch of its life. Its very drinkable and refined but lacks the oomph demonstrated by the nose. There's a charcoal edge here and then your standard vanilla fare. More bitterness from a fine dark chocolate, cherries and a gentle vegetative finish. Overall: I like but I'm left feeling a little unloved and deprived here. What the nose hinted at has failed to be delivered. Upper 40's in terms of strength would have been more beneficial. Still, as its stands this Evan Williams is a very good standard and prompts me to investigate the brand further.